What exactly is a circus peanut? Circus peanut: Worst Halloween candy ever? Our friends at CandyStore.com have compiled a list of the 10 worst Halloween candies, based on aggregating a bunch of other best and worst candy lists. 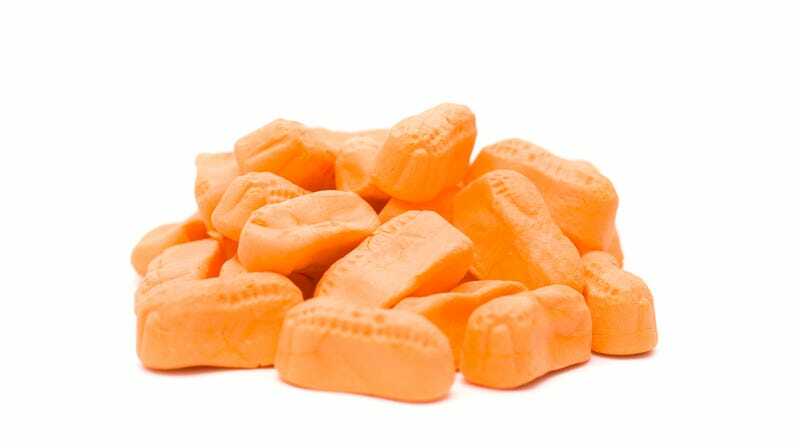 Topping even the horrors of candy corn and Necco wafers was circus peanuts. Which of course kicked off a Takeout staff conversation, since it has been several years since any of us had had one (although Kate Bernot states her dad is a huge fan): What the hell is a circus peanut? I kind of remember it as a puffy banana marshmallow kind of thing. And I certainly didn’t want to taste one to find out. Can you be a good person if you disconnect from the news? Ask The Salty Waitress: Do I need to tip my coworker for making me an espresso?